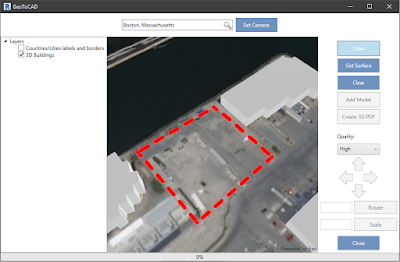 GeoToCAD™ for Autodesk® Revit® is a technology preview to demonstrate establishing a bi-directional connection between Revit, and ArcGIS®, a geospatial platform. Save a model placed on the surface as a 3D PDF file. Version 1.0.0.42, 7/25/2018 – Initial release. GeoToCAD™ for Autodesk® Revit® is brought to you by AMC Bridge. It's free.